Batanes Philippines – The northernmost province in the Philippines, Batanes is a 10-piece archipelago with three habited islands: Batan, Itbayat, and Sabtang. Though Itbayat and Sabtang are their own municipalities, Batan is divided into Basco, Ivana, Mahatao, and Uyugan. The capital city, Basco, is actually a small town where the main airport is located. English is widely spoken throughout all three islands, so visitors shouldn’t have too hard a time communicating with locals and getting around easy enough. The dry season in Batanes is between December to May, which also markets the coolest time of the year for the area. Even if you do decide to visit during the dry months, Batanes is known for having unpredictable weather, and random showers of rain throughout the day have been known to take place from time to time. Don’t be fooled by a cloudless morning, as you might be in for a wet afternoon! Even if you do decide to visit during the rainy season, most days just see a quick passing of rain and are otherwise pretty clear and enjoyable. 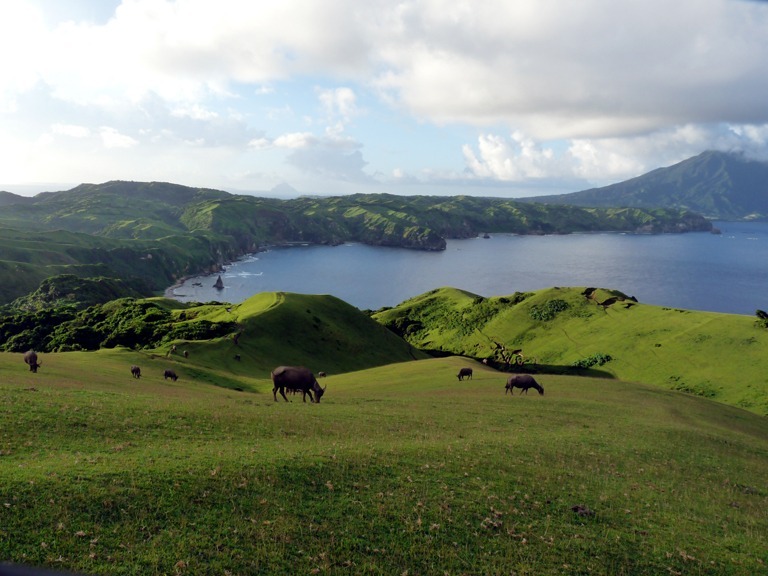 Aside from the changing weather, Batanes has much to offer visitors in terms of excitement and adventure. Across the over 80 square miles of land that Batanes is comprised of, much of it is covered with beautiful green mountains and sprawling hills. There are beaches, caves, and lagoons aplenty, as well as villages, resorts, shops, restaurants, and everything in between. 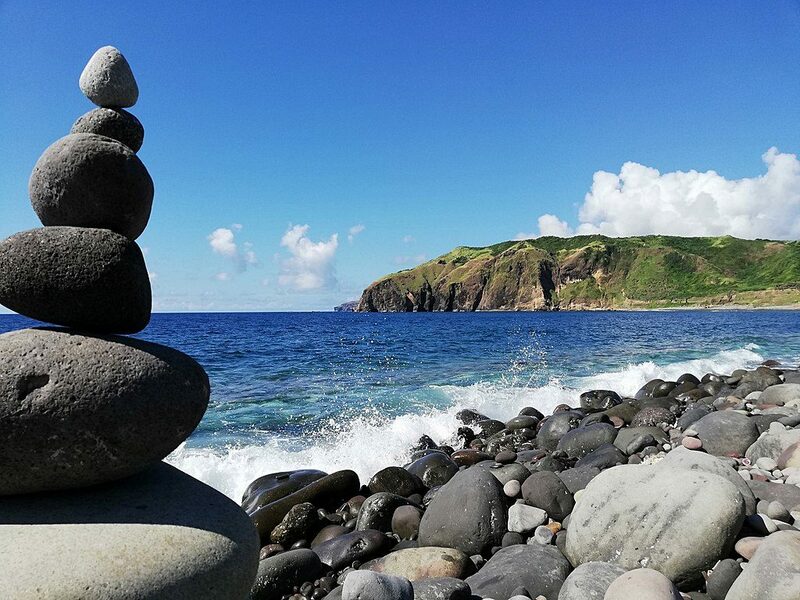 If you’re luck enough to visit on June 26th, you can even celebrate Batanes Day – one of the biggest festivities held across the islands – with the locals and other travelers alike! For the best advice and recommendations on how to get to Batanes, where to stay, and what to do on the islands, read on to help plan your trip to this amazing destination! Batanes Philippines – How to get there? The easiest way to get to Batanes is by taking a flight with Sky Jet Airlines, Philippines Airlines, or Cebu Pacific Airlines from Manila. Planes land in the capital city, Basco, and flights take around one to two hours total depending on which airline you choose. 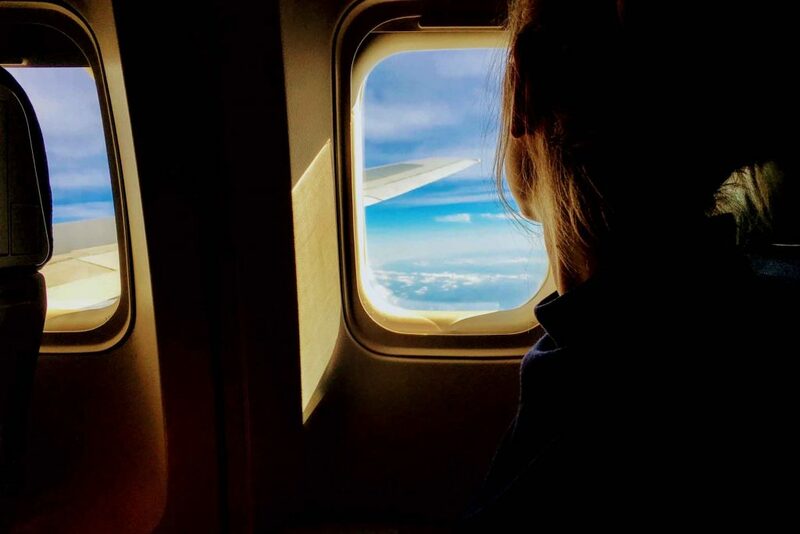 There is also the option of flying PAL from Clark to save a bit on the cost of tickets, though there are great deals to be found year-round on most airlines. You can also fly Sky Pasada and Northsky Air from Tuguegarao and Laoag to Basco. After arriving in Basco, you can visit the islands on your own or book a tour. Batanes Philippines – Where to stay? Northview Hometel in Basco is the perfect place to meet like-minded island visitors, swap stories of your travels, and possible even a few members onto your group! The guesthouse offers a shared terrace, kitchen, and lounge area with TV. The guesthouse also offers airport shuttle services as well as shuttle services to other areas of interest on the island. There’s also an on site coffee house for guests to enjoy a taste of freshly brewed drinks. With laundry and daily maid service, it’s hard to want for much more! Why Guests Love It: Guests love how clean and spacious both the bedrooms and common areas are, and appreciate the availability of board games and puzzles that allow groups to enjoy activities together when the weather is less than ideal. Guests also love the availability of bicycle rentals and tours, as well as walking tours. Last, but not least, guests are also impressed with the cleanliness and quality of each and every room. 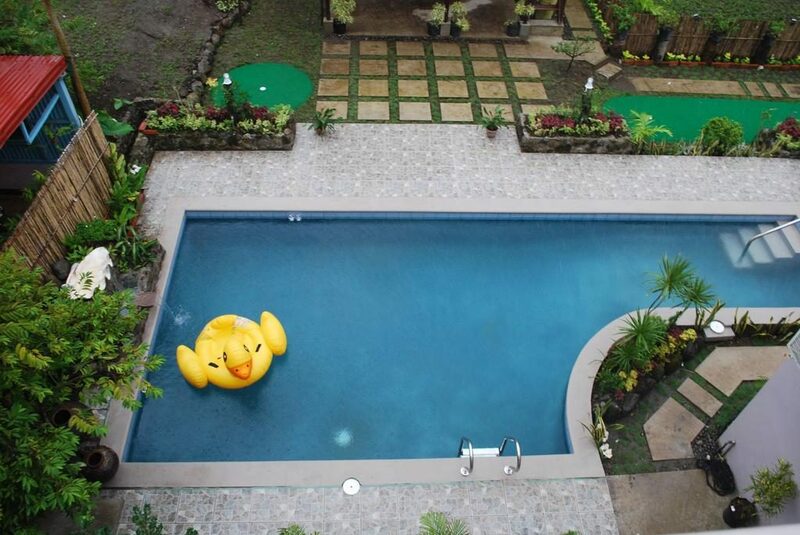 Located right next to the airport, Villa de Babat features a seasonal pool and mini gold course. 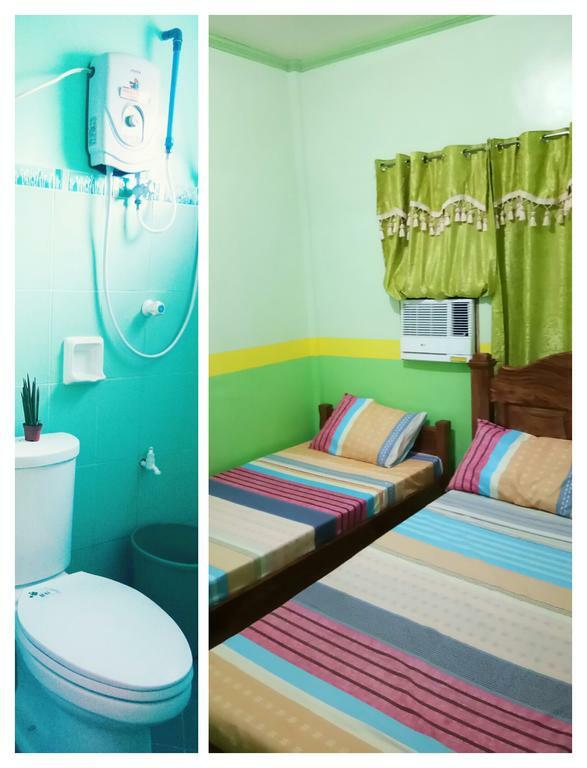 Each room comes fully equipped with a kitchenette, sofa bed, flat-screen TV, private bathroom, bidet, and large bed. Some rooms can also come with a dining area and balcony with a view. There’s a on site garden where guests can relax, along with a swing for children and outdoor dining area. Breakfast options include continental, vegetarian, vegan, halal, Asian, and American! Why Guests Love It: Guests are most impressed with how close the hotel is to the airport! They rave about the various breakfast options, saying that the servings are large, delicious, and quite filling. 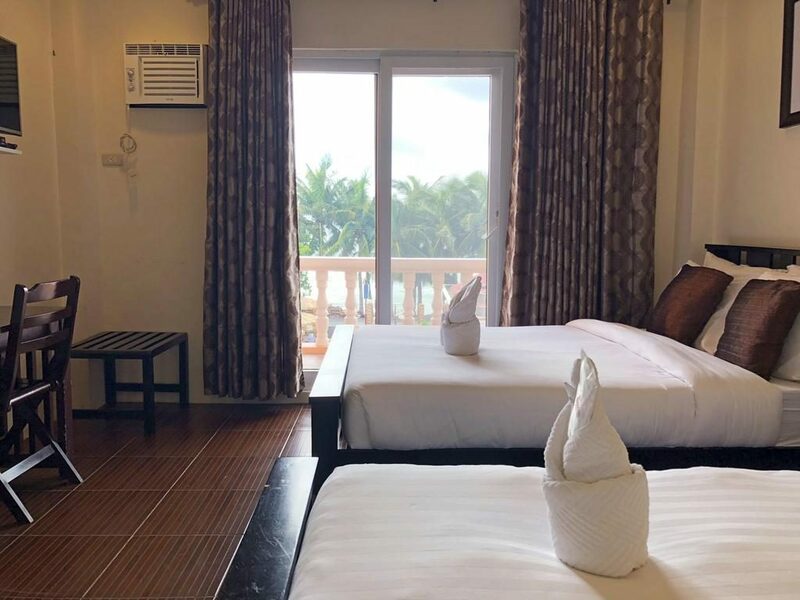 Villa de Babat truly feels like a home away from home – that is if your bed is always freshly made and entire home is immaculately clean at all times! The staff are friendly and the hotel gives off a cozy ambience that makes you want to stay even longer! 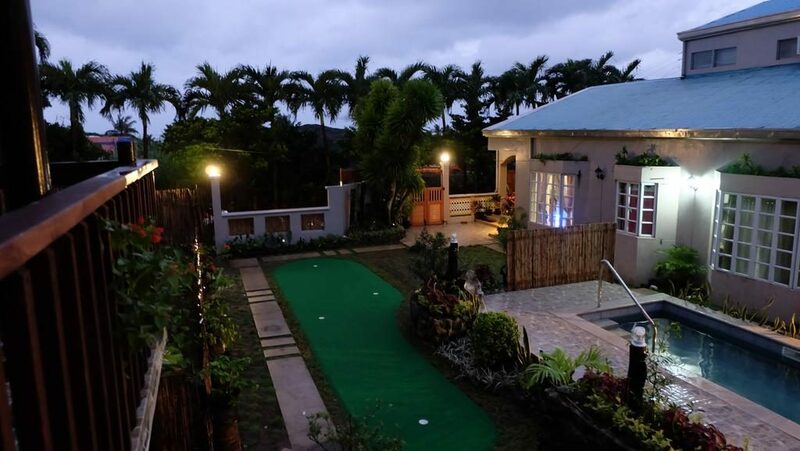 If you’re looking to travel to Batanes in comfort and luxury, Batanes Amboy Hometel will keep you relaxed and satisfied throughout your stay! There’s a 24-hour front desk, on site currency exchange, tour desk, room service, snack bar, on site coffee house, wellness facility, meeting and banquet facilities, VIP room facilities, bridal suite, family rooms, airport shuttle, car hire, bicycle rental, parking garage, garden, terrace, sun terrace, outdoor recreational area, picnic area, outdoor fireplace, and live music performances! With so much Batanes Amboy Hometel has to offer, it’ll be hard to leave the property to explore the islands! Why Guests Love It: Aside from the many amenities available at this resort, guest enjoy the friendly and efficient staff, comfortable beds, refreshing and delicious meals, and spectacular views! 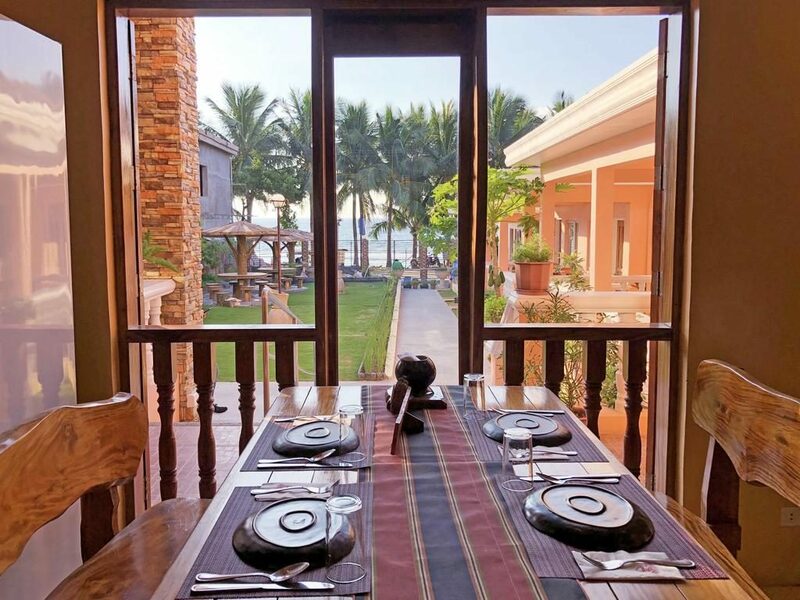 The air conditioning keeps the rooms at a comfortable temperature year round, and the free buffet breakfast and nutritious lunch are sure to keep guests satisfied and filled with enough energy to explore the entire island! All in all, Batanes Amboy Hometel leaves guests satisfied, happy, and eager to enjoy their trip! Called the “Mountain of Winds”, this large volcanic mountain draws in hikers, nature enthusiasts, and adventurers from all over the world. It has an elevation of 1,009 meters (3,310 feet), and is covered in lush, green forest ranges. The summit crater spans 1,500 meters across, and the volcano is still technically active. Much like all other volcanoes in the Philippines, Mount Iraya is part of the Pacific Ring of Fire. Mount Iraya is a monumentally important landmark for the Ivatans, and there are rich traditional legends surrounding it. 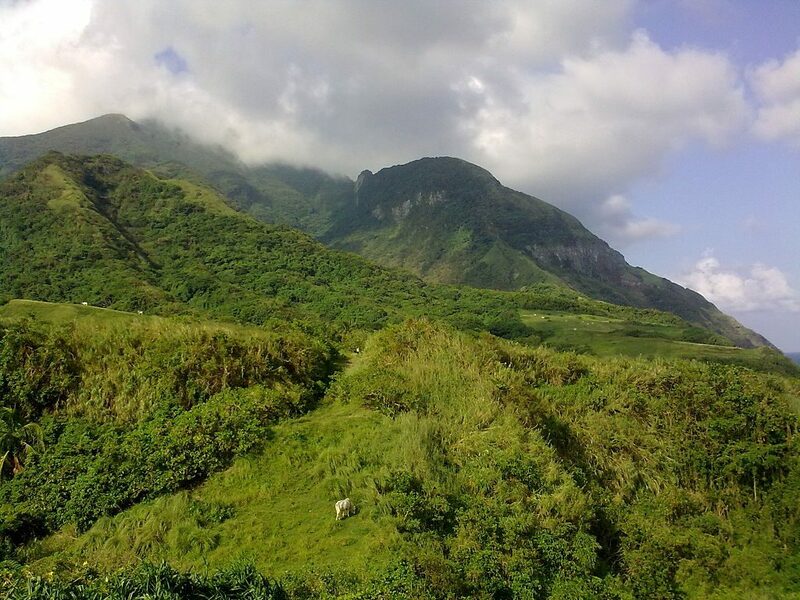 It is said that at the time that someone dear to a Ivatan people passes away, a large ring of clouds appears around the mountain to signal their departure from the world. No matter what you choose to believe, the sight of the mountain is enough to make you wonder if there are magical properties surrounding the large volcano! 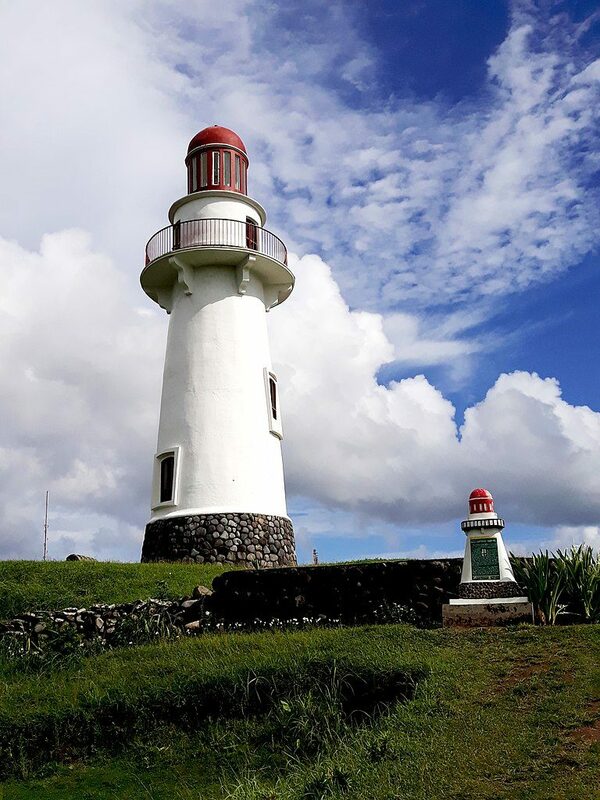 One of the first things local suggest visitors should see, the Basco Lighthouse is a wonderful landmark from which you can get spectacular views of the West Philippine Sea. Visitors are allowed inside the lighthouse and can actually climb to the top for an even better view of the surrounding areas. You can also see nearby Mount Iraya from the top of the lighthouse, which is great for backgrounds of any photos you take! Although the lighthouse is easy to navigate and view during the day, the sights to be had at night are almost as great! Many go to the lighthouse to practice astrophotography, or just to gaze up at the stars and wonder. Watching the sunrise or sunset from the lighthouse is an experience many are willing to wait or wake up early for, but the memories of the sun rising and lowering amongst the backdrop of rolling hills and a vast ocean are hard to pass! 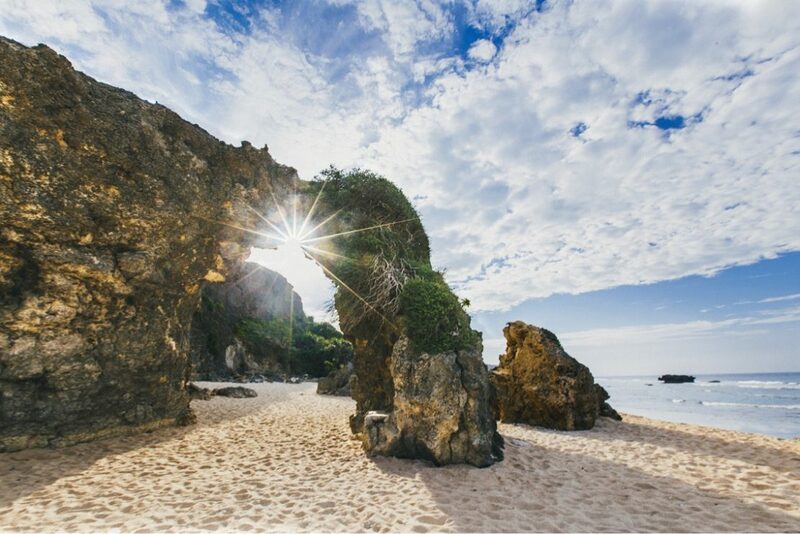 Possibly the most well-known beach on Batanes, Morong Beach owes its popularity to a large rocky arch that has become the image of the island itself. The natural formation, called Nakabuang Arch, sets up a perfect photo opportunity for visitors to the beach. Many visitors try their best to take new, interesting poses in and around the arch to set them apart from the thousands of others who have posed with the rock formation before. If you think you have an interesting pose you’d like to try, don’t be shy – give it a shot! Aside from the photo-worthy geological formations, Morong Beach is also well-liked by visitors because of the pristine white sand that’s fair and soft on the feet, calm waves, and nearby grassy hills. The water is calm enough to enjoy a swim in, which prompts many families to bring their younger travelers along with them. The beach isn’t actually very long, but it is relaxing and enjoyable to spend a day on! One particular island in Batanes has been hailed as having more natural beauty than all of the islands of the Philippines combined: Racuh A Payaman. Also called the “Marlboro Country” of Batanes, the lush, green paradise that stretches over the entire island is perfect for amateur and professional photographers alike. No matter where you point a camera, you’re sure to get an absolutely beautiful photograph of the natural wonders this island has to offer. Along with the healthy array of greenery, the island is also home to herds of carabaos that enjoy grazing throughout the hills. Visitors are free to walk about the island and enjoy both the sights and the sensation of the cool, fresh ocean air. You can easily view the Tayid Lighthouse from the island whether it’s day or night, though even the bright shining beacon of the lighthouse dims in comparison to the absolute beauty of the natural scenery! For those who have never seen a beach without sand, Valugan Boulder Beach is a sight that needs to be seen! Instead of sand, the beach is covered in stones, pebbles, and boulders of various sizes. The beach is locally known as Chanpan, though the popular name of Valugan means East. The boulders and stones on the beach are said to be evidence of Mount Iraya’s volcanic activities around 325 B.C., 286 A.D., and 505 A.D.. The small stones and pebbles are worn smooth over time by the strong waves of the West Philippine Sea and the Pacific Ocean. Not surprisingly enough, Valugan Boulder Beach has been the scene for many award-winning national photography contests. No matter what the current weather is like, almost every photo taken at the beach comes out spectacular and gorgeous. One of the activities many who come to the beach like to partake in is building small boulder towers and making wishes upon them. For a glimpse into the true heritage of the Philippines, try a relaxing visit to this unique beach! One of the major tourist attractions in Batanes, Naidi Hills is a fun area to get to by either biking or on foot. Since bike rentals are prevalent throughout the area, it’s easier than ever to take a ride through the area for a better sense of how vast and seemingly endless it is! The best place to take a memorable photo is behind the large, colorful Batanes sign with the Basco Lighthouse in the background. It’s highly recommended to head over to the hills during sunrise and sunset for the best views, though it can get dangerous to bike through the area after nightfall. The area is so popular for those wanting to watch the sunset that visitors can actually request a catered early dinner in the area while they watch the sun go down. Surrounded by beautiful nature, it’s easy to come to this area to relax and contemplate your life while you enjoy the serenity and cool breezes of wind. Many locals and travelers alike choose this very location to take pre-wedding photos together as it’s considered by the masses to be the most gorgeous spot in all of Batanes! You’ll just have to come and see for yourself! Mountains, beaches, lighthouses, hills, local cuisine, beautiful scenery, fun festivals, delicious coffee, quaint villages, and more all await those who make the journey to Batanes in the Philippines. 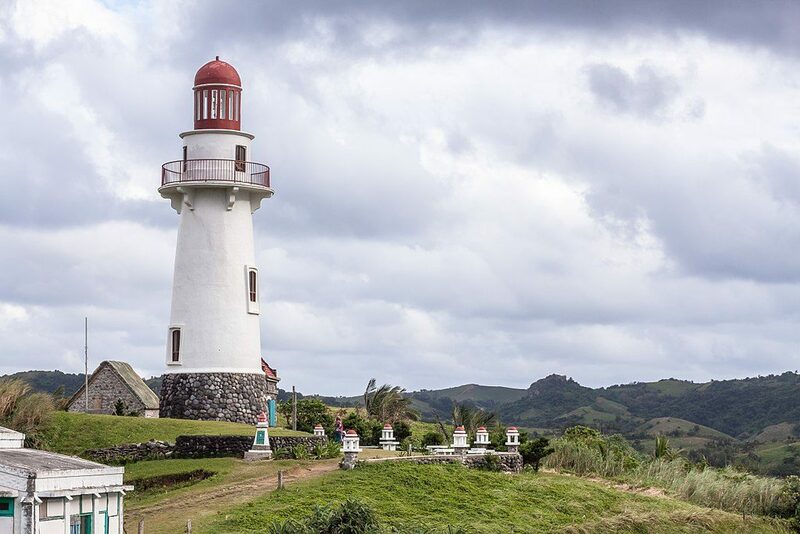 No matter what you’re looking for in a proper getaway, Batanes is sure to provide more than enough activities and adventures to satisfy even the pickiest travelers. Book your trip to Batanes today and see for yourself just how special these islands of the Philippines can be! And for more islands to visit in South East Asia, feel free to check out these blog posts: Southeast Asia Islands. Phang Nga Bay Tour - Should you visit James Bond Island Phuket in Thailand?